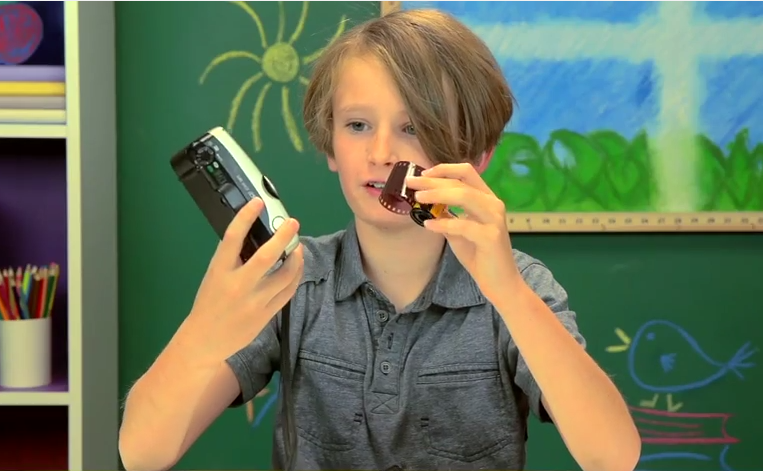 In the newest installment of Kids React, where kids do what the title suggests and interact with technology of yore in a predictably adorable yet totally understandable way to outdated gadgets, we get to see what the children of today think of taking pictures with a camera that uses actual film… and ohmygosh, you can’t even see the photo after you take it! Oh, the humanity, life was so cruel then, etc. While we all know how this little experiment is going to turn out, it still makes old hearts creak with nostalgia seeing the young whippersnappers trying to figure out how to turn the dang thing on in the first place, much less wrestle with film to make it actually take a picture. And it’s not like they’ve been forced back to the time of dageurrotypes — the camera even winds the film automatically! Such a treat. Although (spoiler alert) most kids are outraged at the fact that you can’t see a photo after you take it, one girl does admit it’s “kind of sad” that the albums on a phone are named after actual albums where people used to place physical photos, something no one she knows does anymore. Sad, indeed.